It’s January so once again everyone’s been talking new year, new you, diets, detox, cleanses and weight loss. Boring? Maybe. But interestingly for me it’s my job to put these (sometimes ridiculous) diets to the test and report back. If all you seem to do is diet-eat-diet-eat-diet-eat then you must have had enough. Why not ditch the diet and read on for some easy tools to transform your eating habits year-round, not just for January. And if you’re struggling through a ‘dry January’ then you need to read Give Up Giving Up by Eva Wiseman. Had me chuckling in agreement! I personally don’t think it’s a good idea to detox or do a diet-overhaul in January as the winter chill naturally makes us want to cosy-up and hibernate. For that reason most ancient traditions such Ayurveda, yoga, and Traditional Chinese Medicine suggest the end of winter/beginning of spring as the optimum time to detox, renew and rejuvenate. However….as most of us want to remedy a festive blow-out, there’s no better time to share this post. These are my five easy wins to promote a fresher, healthier and more enlivening way of eating without a single calorie-count or craving in sight (hoorah!) and without having to buy expensive super-foods. Ready to say no to the January diet blues? 1. Buy a bag of lemons – one lemon is simply not enough. Buy a bag so there’s a stock of alkalising goodness in the fridge at all times. I wrote about why lemons are good for you here so now it’s not just the mornings when I reach for a lemon, I squeeze them onto food throughout the day. Particularly good at helping to digest, metabolise and alkalise heavy foods too, so it’s a brilliant weight loss-win without cutting back on a single food. Eat what you like, just add lemons! 2. Eat avocado – another staple in my daily diet that helps keep weight down. Eat one for breakfast and the good fat content and its ability to stabilise blood-sugar levels will mean you stay full until lunch, with loads of energy and no snacks guaranteed. I’ve got all the girls in the office onto avocado on toast, rice cakes or pitta in the mornings and they love it. It’s also a natural way to reduce cholesterol and strengthen skin. 3. Try coconut oil – this is my favourite discovery of recent years. I have a tub in the bathroom to moisturise skin and one in the kitchen for spreading onto toast as ‘butter’. After reading extensively about the benefits of coconut oil and its unique fatty acid make-up that keeps blood sugar levels down, I’m hooked. Amazingly, the body uses it as instant energy rather than storing it as fat and it also helps to increase the metabolism. Basically it’s like a nutritional powerhouse that’s not far off losing weight while you eat! 4. Bitter is better – the ancient practice of having a bitter tonic to aid digestion is back, hoorah! I’ve been using Viridian Digestive Elixir first thing in the morning or before food and it basically helps to support the enzymes necessary for digestion. It’s a great one for holiday health or before eating out. 5. 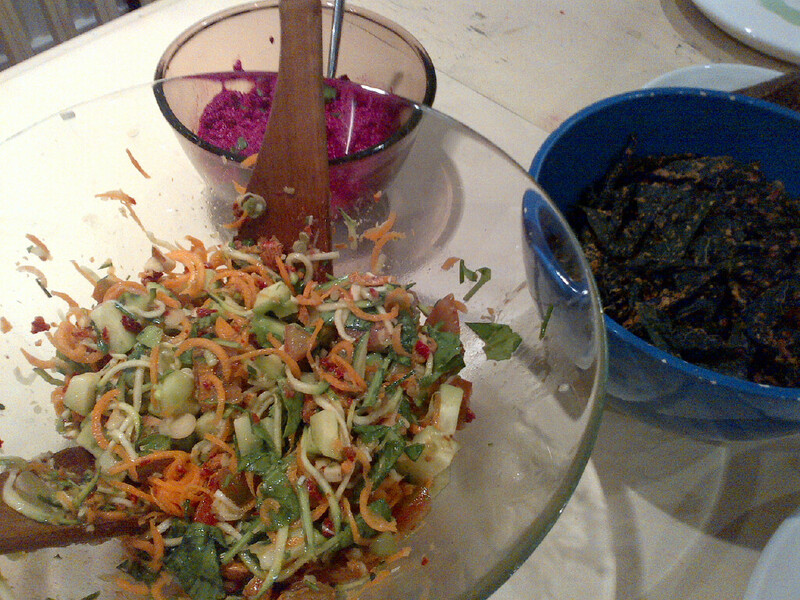 Go more raw – last year I completed a 7-day raw food challenge for Healthista.com and discovered a whole new world, culture, and way of eating – challenging as much as it was enlightening though. It’s not about eating carrot sticks but being creative and adding more raw foods to everyday meals for more nutrients, goodness and most of all, energy – something we all want! 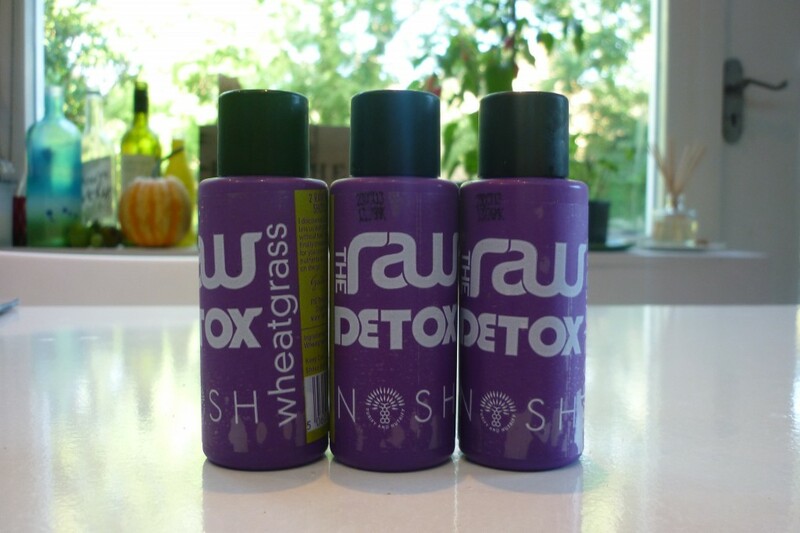 How-To: Raw slaws. These are so easy to make and instantly add fresh, live vitamins to your meal. Add three of your favourite vegetables into a food processor (a good combo is courgette, carrot, tomato but experiment with kale, onion, green beans, and even parsnip) and add your favourite herb or two with seasoning. Blend. Serve. This makes an easy accompaniment to pasta, rice, tofu, grains or anything you want really. Tip: the more you blend, the finer, mushier and wetter the concoction gets so you can create almost pesto-like consistency from some combinations of foods or keep the mix quite dry and slaw-like with less or no tomato and less blending. If your interested in more raw diet tips I wrote a part-two blog post for Healthista.com on my experiences with a dehydrator oven – the ultimate raw foodie kitchen gadget. Well, this week I’m coming to the end of a juice detox, reviewing for Healthista.com and in partnership with with Philips and Jason Vale for the World’s Biggest Juice Detox. Want to hear my verdict? Stay tuned, all will be revealed!